None Greater: The Undomesticated Attributes of God was written by Matthew Barrett. Matthew Barrett is Associate Professor of Christian Theology at Midwestern Baptist Theological Seminary. He’s also the founder and executive editor of Credo Magazine, and the host of the Credo podcast. In the introduction, Barrett says how people are quick to substitute God with false god’s made in our image that we can domesticate. He wrote this book to “fill the house with good theology proper”, so believers can learn about and study the true and living God. Throughout the book, readers will learn about God’s incomprehensibility (the more we know, the more we realize we don’t know), aseity, simplicity, immutability, inpassibility, righteousness, goodness, love, and so much more with the help of Augustine, Anselm, and Aquinas (the A-team). I would say this is more of a layman’s systematic theology. Not only is it short (<300 pages, minus the glossary and sources), it’s very easy to read and understand. It will challenge many reader’s view of God, that’s for sure! What blame have the nations put upon you? My beloved how will you go? Choosing Real: A Devotional Thought Journal is a ~220 page hardcover journal with daily entries. The pages are seen together, and there is a golden ribbon to mark your place. One page features a Bible verse, the other page has a quote from the author’s book Choosing Real: An Invitation to Celebrate When Life Doesn’t Go as Planned (which I am unfamiliar with both the book and author), and a question to reflect on. The idea of this journal is cute, but some of the quotes are a little odd. Here’s one of them. How do we experience a spiritual moment with our senses? Beyond simply smelling- how can we find deeper faith through a God who wants to connect with us through perfume or herbs? If God Is For Us: The Everlasting Truth of Our Great Salvation is a six-week Bible study that goes through the eighth chapter of Romans. Romans is my favorite book of the Bible, and chapter 8 is my favorite chapter (have you heard John Piper’s reading set to epic instrumental music?! ), so I was really excited to discover this Bible study! Thank you Moody Publishers for sending me a free copy to review! Each week has five days, so it’s not a daily study. If you get behind, it’s easy to catch up. This is also more of a devotional than a study that requires lots of digging and flipping around your Bible like other studies I’ve done. On average, each day took 5-15 minutes, so this is great for busy women. (Since the days were so short, I did one week a day instead of following with the group study as planned…sorry.). The first week of this study covers the first seven chapters of Romans to give you the context for the eighth chapter. Each day you’re given a chapter or two to read in the first week, followed by some questions to answer. The space to write in is about an inch (I wrote in a notebook so I could do this study again, or lend it out). After the first week, Newbell focuses on small sections of chapter eight. After your Scripture reading, there’s a respond section asking questions about what you read, followed by an explore section with commentary and stories from the author. Each chapter ends with a few reflection questions. The fifth week was my favorite out of the entire book. That week covers 8:28-30. This section of Romans 8 is usually difficult for people to understand and accept. I also see it get twisted around all the time… I’m so happy this study exists and the author was faithful to the Word! So overall… This is an encouraging, comforting, and hope-filled study that humbles the reader, and glorifies God. What Am I Feeling? Was written by Doctor Josh and Christi Straub, and illustrated by Jane Butler. This is a Christian children’s picture book that includes a poster chart of emotions. The target audience is kids 4-8 years old. This book is about a scared little boy named Sam, his friends on show-and-tell day, and wise words from dad. I love this book! It’s a cute and simple way to talk to children about their emotions. The poster is really great, too. I’m going to take it out and hang it up in hopes my nephew can use it as a communication tool. If you have kids, this is a must-have! God’s Words to Dream On: Bedtime Bible Stories and Prayers is a children’s Bible storybook written by Diane M. Stortz and illustrated by Diane Le Feyer. The book is over 200 pages, and has the best illustrations (and a glittery cover!). This is broken up between the Old and New Testaments, and includes 55 well-known paraphrased stories. Each story takes up four pages, but they’re only a few paragraphs, so they’re short to read. Each section has a verse, a story, a prayer, and a blessing. Until the New Testament, this book doesn’t say the word “sin” (not even in Eden), or “repent”. The Old Testament skips over stories like Cain and Abel, Abraham and Isaac, Sodom and Gomorrah, the reason why Joseph was arrested, Esther, David and Bathsheba, Shadrach, Meshach, and Abednego, etc. The New Testament covers a lot, but skips Judas’ betrayal and a few other stories I would have liked. I wasn’t expecting a systematic theology, but I would have liked more depth, and focus on redemption. The illustrations are stunning, and worth all the stars. The stories are accurate for the most part. Easter is Coming was written by Tama Fortner and illustrated by Wazza Pink. This is a twenty-four page children’s board book published by B&H Kids. The cover really caught my eye. The illustrations are so bright and cute! Plus, the cover has holo accents! That’s why we celebrate Easter, to thank God for His great big love and to remember what Jesus did to save us. Because Jesus died, all our sins can be forgiven. And because He rose, we can live with Him in heaven! You see, God always knew, and now you know too… That’s why Easter is Coming! This is a great book for children of all ages. Thank you B&H for sending me a copy for review! This month, I’m giving away a copy of the ESV Story of Redemption Bible on Instagram to someone in the U.S. Enter here! 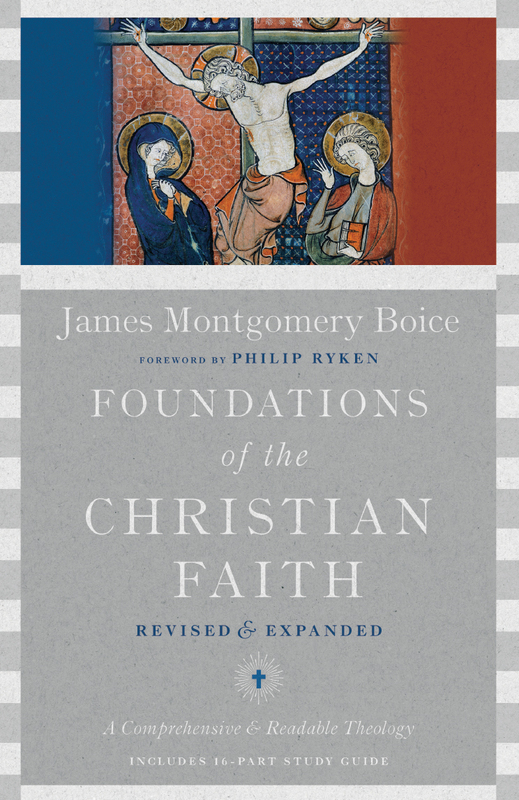 Foundations of the Christian Faith: A Comprehensive & Readable Theology by James Montgomery Boice (1938 – 2000) is a single volume systematic theology. There are four books in this volume, and each book has eighteen chapters broken up into four parts. This edition IVP just published in January includes a ~40 page study guide, which I loved! Overall, this book is just over 830 pages. While this book seems long and intimidating, the chapters are around 10 pages on average. It’s pretty easy to read a chapter and go over the study guide in one sitting. The study guide has two sets of questions— one for study and discussion, one for personal discipleship. The added study guide is great for individual studying, or if you have a book club or study group. This is the first systematic theology I’ve read from cover to cover. Not only was it easy to understand, it was enjoyable! There were some topics I didn’t agree with, and a few that challenged or changed my views… I learned a lot and took SO many notes! I have two complaints about this book… First, the pages are glued together instead of sewn. I can see myself frequently turning back to this book, and I’m concerned about how the binding will hold up throughout the years. Second, Boice had strict second commandment convictions, and this updated book cover has a picture of Jesus. He spoke about his convictions multiple times throughout the book, and I’m sad to see that they weren’t respected for the cover design. “1) We are to worship God and obey him. 2) We are to reject the worship of any other god. 3) We are to reject the worship of the true God by any means that are unworthy of him, such as the use of pictures or images. At first glance it seems quite strange that a prohibition against the use of images in worship should have a place at the very start of the ten basic principles of biblical religion, the Ten Commandments. But it is not strange when we remember that the characteristics of a religion flow from the nature of the religion’s god. If the god is unworthy, the religion will be unworthy too. If the concept of God is of the highest order, the religion will be of a high order also. So God tells us in these verses that any physical representation of him is dishonoring to him. Why? For two reasons. First, it obscures his glory, for nothing visible can ever adequately represent it. Second, it misleads those who would worship him. Both of these errors are represented by Aaron’s manufacture of the golden calf, as J. I. Packer indicates in his discussion of idolatry. In Aaron’s mind, at least, though probably not in the minds of the people, the calf was intended to represent Jehovah. He thought, no doubt, that a figure of a bull (even a small one) communicated the thought of God’s strength. But, of course, it didn’t do so adequately. And it didn’t at all communicate his other great attributes: his sovereignty, righteousness, mercy, love and justice. Rather, it obscured them. I really enjoyed reading this massive book this month. I highly recommend it to all Christians, no matter where you are in your walk. Thank you IVP for sending me a copy in exchange for an honest review. 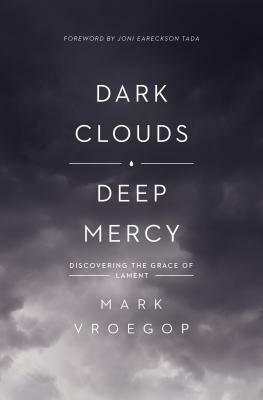 In Dark Clouds, Deep Mercy Mark Vroegop walks through the steps of lament (turn, complain, ask, and trust). This book is broken up into three parts: Part 1 Learning to Lament: Psalms of Lament (Psalm 77, 10, 22, 13), Part 2 Learning from Lament: Lamentations, and Part 3 Living with Lament: Personal and Community Applications. Lamenting is something the Western church isn’t familiar or comfortable with. Rather than express our emotions, we brush them to the side, hide or ignore them. We’ll do anything but face the hurt we feel, and we feel uncomfortable crying out to God. This book shows you that lamenting is a prayer of anguished hope that leads to trust, and worship. When we lament, we bring our sorrows to God and pour ourselves out. Lamenting helps us deal with our emotions, trust God, and heal so we don’t become bitter or angry. How long, O Lord? Will you forget me forever? How long will you withhold the blessing of a child from us? How long will we cry to you—how many more days, months, or years will pass with our arms remaining empty? How much longer will we struggle to rejoice with those who rejoice while we sit weeping? But I have trusted in your steadfast love. My heart shall rejoice in your salvation. I will sing to the Lord, because he has dealt bountifully with me! Thank you, Father! This book is very short (<300 pages), saturated in scripture, and very helpful and practical. This is a book you’ll need to check out!